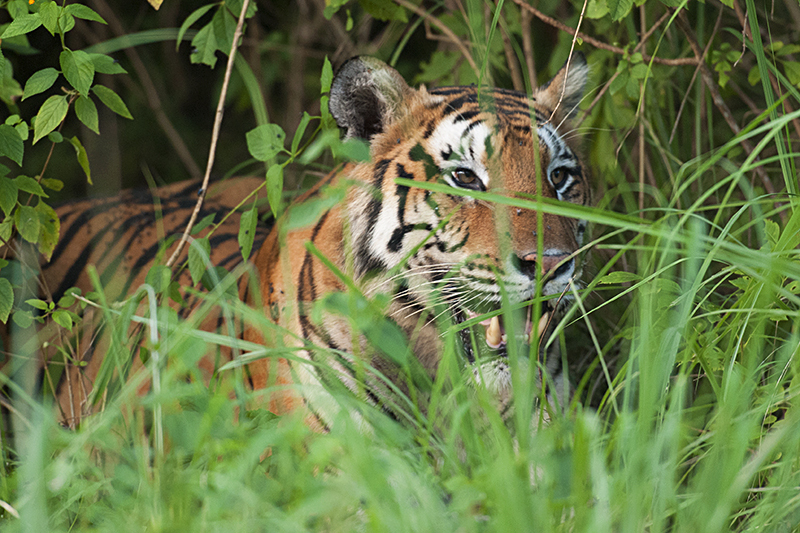 We have been visiting the BRT wildlife sanctuary situated in BR Hills for many years now. We make it a point to visit BRT atleast once a year because in our opinion it is the most beautiful of all the sanctuaries in Karnataka. As we entered the sanctuary during the first safari on this trip, I wondered how we have never seen a Tiger during any of the safaris in BRT. 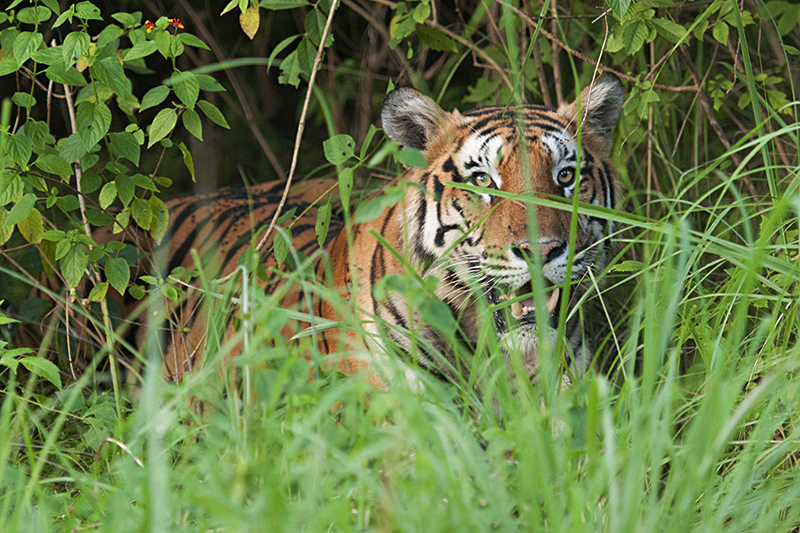 All the Tigers that we spotted here, was when we were driving along on the main roads. 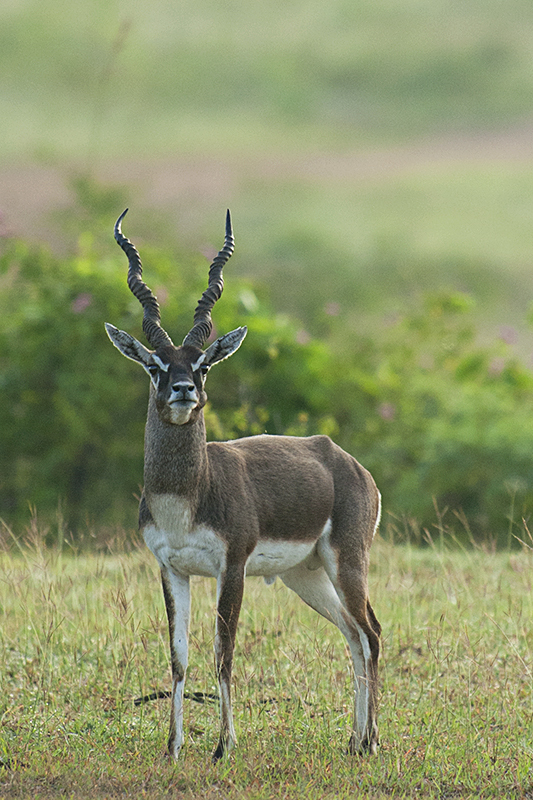 During this safari, we first spotted a shy Blackbuck at the outskirts of the Sanctuary and we took this record shot (below). I settled down to do some arm-chair birding at the log hut that we were staying in. 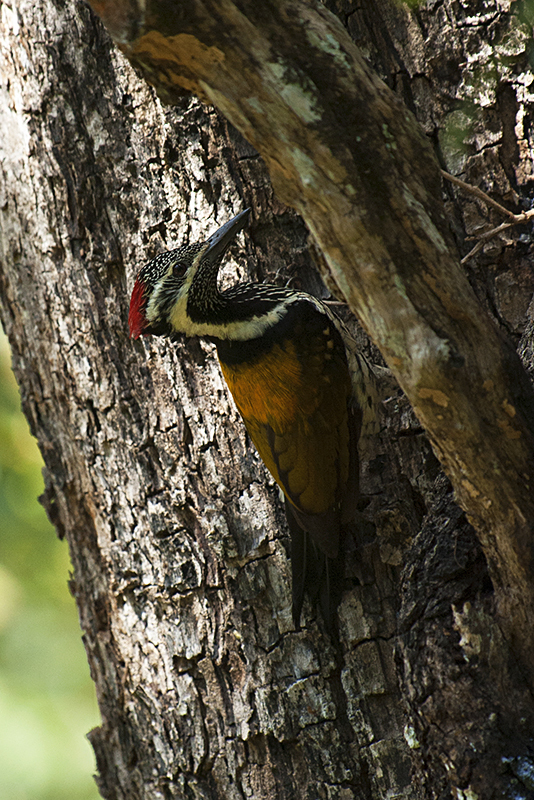 While I was looking around, a Black-rumped Flameback (above) came and settled down on a tree next to the log hut and I managed to get another record shot. However, I am still waiting for the perfect picture of the Flameback. 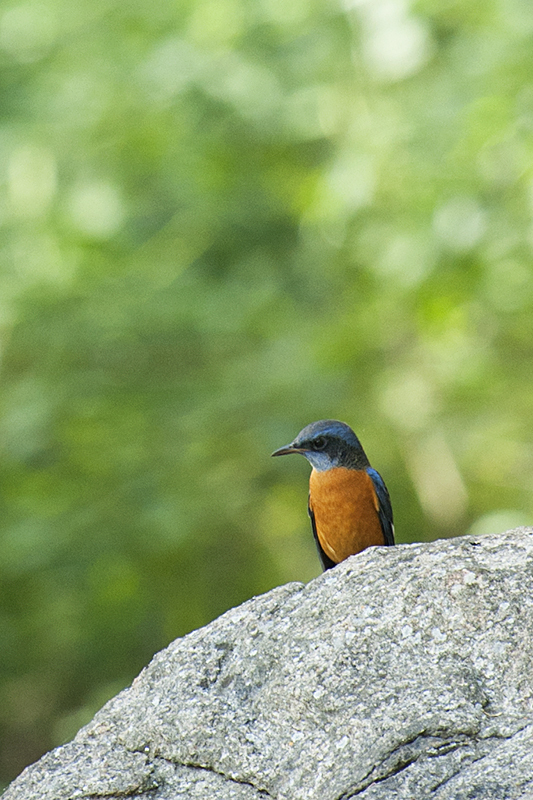 That evening as we were preparing to leave the resort on yet another safari, I spotted a Blue-capped Rock Thrush sitting on a rock near the log hut. Rock Thrush on a rock definitely was worth a record shot and we made this one (below). I am not sure, if spotting the Rock Thrush on a rock was the lucky break as we finally spotted a Bengal Tiger during the evening safari. Though the sighting was brief and well into the evening in fading light, it was an exciting sighting. The Tiger was actually spotted coming onto the safari tracks by another jeep. Seeing the oncoming jeep, the Tiger retreated back into the Lantana. Both the jeep and the Tiger were waiting for the other to give way when we came to the spot. The other jeep was frantically asking us to move back gesturing towards the adjoining Lantana. As we retreated back, we spotted the crouching Tiger in the Lantana. As you can see from the pictures, the Tiger was fully focussed all the time on the other jeep. Finally before the Tiger retreated back into the Lantana, it gave a parting shot (below).